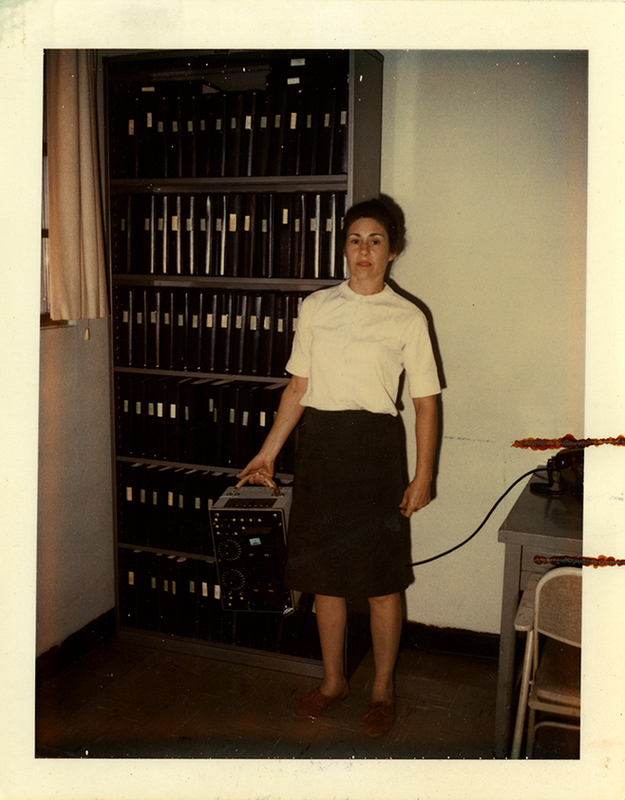 Lorena Weeks had worked as a Southern Bell telephone operator for many years when she was denied a higher paying position as a company switchman on the basis that the job was only open to men, citing a Georgia state rule that women employees could not be made to lift anything heavier than thirty pounds. She filed a legal appeal but lost in district court. Weeks then began writing all reports by hand, refusing to carry her thirty-four-pound typewriter to her desk in protest, which resulted in her suspension. Weeks brought her case to the National Organization for Women (NOW), through which attorney Sylvia Roberts was assigned to represent her before the Fifth Circuit. Roberts won the case on appeal in 1969, arguing the idea that no woman could lift thirty pounds was absurd, given that many women routinely carry children weighing thirty pounds or more. Weeks v. Southern Bell marked an important early legal victory in the fight against gender-based workplace discrimination. Collection NA-282, Box 10, Folder 19 of 24. Sylvia Roberts papers. Newcomb Archives, Newcomb College Institute, Tulane University. “Lorena Weeks with typewriter,” Social Welfare History Image Portal, accessed April 26, 2019, https://images.socialwelfare.library.vcu.edu/items/show/342.